Dr. Matthew Daugherty became an assistant professor in the Department of Physical Therapy and the program director’s assistant in 2013. Prior to holding those positions, he was an instructor in the Department of Physical Therapy starting in 2011 and a Fellow in Training in 2010. In addition to teaching, Dr. Daugherty has been a licensed, practicing physical and occupational therapist since 2008. He received his Manual Therapy Certification (MTC) in 2009 and completed a full-time fellowship in orthopaedic manual physical therapy, accredited through the American Academy of Orthopaedic Manual Physical Therapists (AAOMPT) in December 2010. In 2012, he became an Orthopaedic Certified Specialist (OCS) through the American Board of Physical Therapy Specialties (ABPTS). 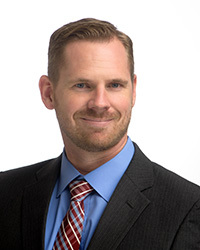 He is an active member of the American Physical Therapy Association (APTA), the Florida Physical Therapy Association (FPTA), the National Board for Certification in Occupational Therapy, the AAOMPT, and the ABPTS Specialization Academy of Content Experts (SACE). He serves as a delegate for the state of Florida in the APTA, is a district chair in FPTA, and is part of the APTS’s Grassroots Advocacy Network. Dr. Daugherty has presented his research at the AAOMPT’s national conference, the APTA Combined Sections Meeting, and the FPTA conference. He is also the author of numerous book chapters. He is currently pursuing his Doctor of Business Administration (DBA) at Walden University.